Drive to Munduli Hill for cultural tourism and walking in the Maasai village, The village is located off the beaten path On a clear day the hills around the village offer an amazing view of the Great African Rift Valley and Mount Kilimanjaro, the highest mountain in Africa. Dinner and overnight at the Emayata Lodge a small lodge built in a small Maasai town offering an insight into the evening life of the local people. Picnic lunch box with you drive to the famous Ngorongoro Crater for full day game drive, The Ngorongoro Crater is sometimes known as the Garden of Eden The crater is the home for many plain animals like lion, elephant, rhino, buffalo wild beast, zebras and uncountable number of gazelle with thousands of pink flamingoes. Dinner and over night at the Jambo Lodge located at the Foot of the great African rift valley, just at the door of Lake Manyara. Drive for full day game viewing at the Tarangire National Park, This pvark has earned biggest reputation for having the highest concentration of African elephants and big cats. It was first established as a famous hunting block for lions and leopards during colonial times, the highly suitable soil which hold high amount of water attracts thousands of animal to this park during the dry season. 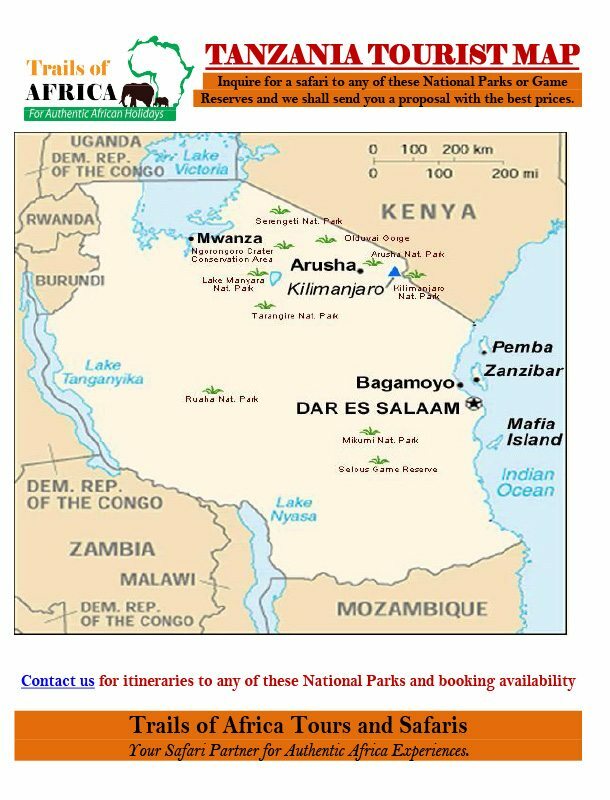 When all other areas around the park is getting dry the Tarangire national park grows green! The magnificent Baobab trees offer an amazing sight, Dinner and overnight at the Tarangire Safari Lodge/Tarangire Roika Tented Lodge. Early morning game drives in Tarangire National Park Afternoon drive back to Arusha. Late evening fly back home or fly to Zanzibar.